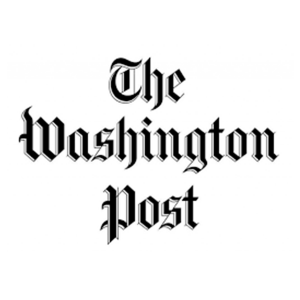 3Pillar Global’s CFO, Maria Izurieta, was recently quoted by The Washington Post in an article discussing the best approaches to help new mothers transition back to work. Maria was quoted among other business leaders, including Fairygodboss Co-Founder Georgene Huang and Birchbox director Melissa Enbar. The article addresses the complications and fear that new mothers face when returning to work after maternity leave. Companies are completely vulnerable to new parent attrition, with most mothers leaving work within the first three weeks back after having a baby. To combat this, they must devise plans for flexible work loads and schedules and emphasize confident readjustment to working, which is not a common find. Maria discussed 3Pillar’s strategy to helping new mothers reacclimatize to working – a highly personalized approach that treats every employee as an individual. “Towards the end of their leave, we discuss how to reintegrate them back into the workforce,” says Maria on 3Pillar’s policies. “Each one is looking for a slightly different accommodation to make them feel comfortable.” By incorporating more flexible and individualized approaches into their policies, companies can avoid the disruptive and expensive new parent attrition. To read the full article, click here to visit The Washington Post website. Founded in 1877, The Washington Post is a daily newspaper published in Washington, D.C. The paper has an emphasis on national politics and prints daily editions for the District of Columbia, Maryland, and Virginia. The newspaper has won 47 Pulitzer Prizes, and its journalists have received 18 Nieman Fellowships and 368 White House News Photographers Association awards.